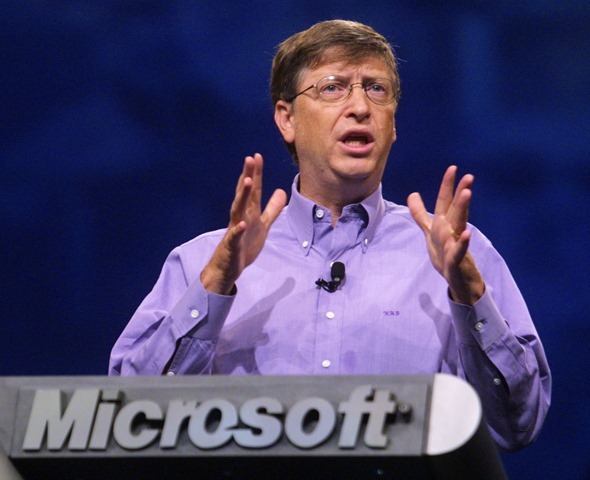 Bill Gates Considering Return To Microsoft? Bill Gates, founder and Chairman of Redmond-based software giant Microsoft, could make a dramatic return as the company’s Chief Executive Officer, if investor gossip is to be taken on board. It’s not the first time Gates’ return has been suggested. Earlier this year, David Einhorn, activist investor of Greenlight Capital publicly slandered Ballmer, referring to him as "a weight dragging down the company’s share price", which, as you might expect, prompted speculation on the CEO position. Gates himself has distanced himself from the notion, stating his work at the Bill & Melinda Gates Foundation is now his job, suggesting he is more than happy to remain away from the world’s largest software outfit. Although it would certainly serve as one last hurrah for a key figure in modern computing as well as arousing a significant amount of public interest, Microsoft doesn’t stand to gain an awful lot from reappointing its founding father to run the show. After all, consumers are showing great interest in Windows 8, the Xbox and Kinect combo is trouncing on its rivals, and the mobile software is making very good progress. Despite the aforementioned though, all that matters to investors is the bottom line, and share prices have been an issue throughout the Ballmer reign. Stocks sat at $60 a piece in Gates’ last year – 1999 – in what was Microsoft’s best year in terms of market price. The following year, shares had plummeted $10 to $50, and have fluctuated ever since. "There’s a lot of frustration among investors with Steve Ballmer," added Ed Maguire of CLSA Asia-Pacific Markets. "Some is merited, some may not be. But there’s certainly a perception that Ballmer is responsible for the under-performance of the stock." Although Bill Gates is officially company chairman, he hasn’t done a day’s work at Microsoft for over three years, which makes the possibility of him stepping back up to the plate seem rather far-fetched. But, with the apparent frustration and contempt aimed at Ballmer, we certainly cannot write anything off. After all, a return of the founder would undoubtedly boost morale amongst the rather bemused army of investors and restore faith and momentum.